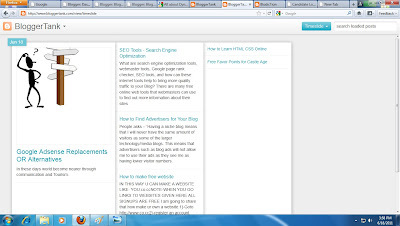 Blogger now offers you the ability to present your content in several new and exciting ways. If any of the above conditions are not true, users who attempt to access dynamic views for your blog will instead be taken to a landing page and redirected to your original blog in a few seconds. If all of the above conditions are true, your readers can access the dynamic views for your blog by simply appending /view to the URL. For example, our own blog, BloggerTank, is available at http://www.bloggertank.com/. 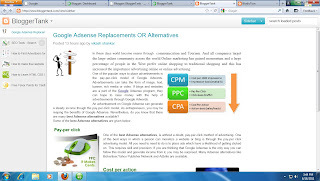 To see this blog in the new dynamic views, users would instead visit http://www.bloggertank.com/view. Or if they wished to visit a particular view directly, such as the Timeslide view, they would simply visit http://www.bloggertank.com/view/timeslide. Please note that these views do not currently support many of the features your original blog may have, including displaying advertisements. For this reason we have provided the option for you to disable dynamic views in your Settings page. We intend to add these missing capabilities over the coming months as well as let you personalize these views, including providing an option to set a particular view as the default.